*Zoom! Whitening, Dental Implant, and Short Term Orthodontics cannot be combined with any other offers. Some restrictions may apply. Call for details. Care N Cure Dental is a top-rated, trusted provider of preventive, restorative and cosmetic dental care for patients in and around Garland, TX. Specializing in individualized, patient-centered care, Dr. Rani James and Dr. Sharmila Shrestha offer a wide array of general dentistry and cosmetic dentistry treatment options for patients of all ages, including root canals, crowns and bridges, veneers, teeth whitening, dentures and oral surgery, including wisdom tooth extraction and other dental issues. The practice is committed to offering patients an anxiety-free experience and offers nitrous oxide and conscious sedation to help patients relax and stay comfortable throughout their entire treatment. As a family dental practice, Care N Cure Dental focuses on providing top-quality, compassionate, skilled care for patients from kids to adults, using state-of-the-art technology and techniques for optimal results. Care N Cure Dental welcomes new patients, and the practice accepts most major dental insurance plans in addition to offering affordable payment plans to help everyone enjoy better oral health and great-looking smiles. Welcome to Care N Cure Dental! 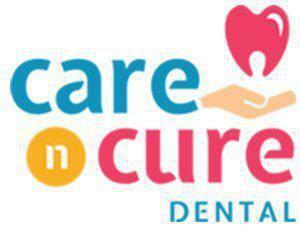 We would like to welcome you to Care 'N' Cure Dental. Our commitment to developing meaningful relationships with our patients and their families is the foundation of everything we do. From scheduling your appointments, to discussing treatment recommendations, to following up with you after dental procedures, we treat our patients just as we would treat our family members—with integrity, personalized care, trust, and exceptional service. We know you have choices in selecting dental care, so when you walk through our doors, we're committed to providing a level of service that will keep you coming back. We strive to make quality dentistry at affordable prices. We hope to build strong relationships with you and your loved ones.